Source: Gift from Pan Macmillan. I buddy-read Ash Princess with the amazing Uma from Books.Bags.Burgers. You can read her review HERE. After seeing the many 5 star reviews on Goodreads, we were both excited to start reading this book. The writing is beautiful. There is the occasional info dumping, but otherwise, for a debut, the writing is solid. I liked it. But the characters are uninteresting. Theo is one-dimensional, there's absolutely nothing unique about her, and I'm not even sure if she has a personality. The secondary characters aren't great either - they're dull and stereotypical - and the love triangle is predictable and unnecessary. Overall, I couldn't connect to or care about anyone. They're all cardboard cut-outs. - There is no real conflict. Sebastian plays it safe with petty troubles and easy-to-control situations, and keeps events on a straight path to a risk-free finale. Every incident in the book is devoid of excitement and extremely underwhelming because of the lack of threat. It's too safe, and considering the premise, it definitely shouldn't be. - The story is also too easy and convenient, and events are random and coincidental. Blaise killing off Theo's guards to get them out of the way, Blaise giving Theo the poison to use against her enemies, Blaise getting the ships ready for the escape and making sure Theo's friends are safe, are all laughably opportune events. It's all taken care of off the page and it is SO. CONVENIENT. - There are also incidents like the Kaiser's wife's death and the little uprising that gets Theo punished that I don't think worked in the story simply because they're isolated events with no direct ties to the main plot. They just happen (and they have little consequence). Wouldn't it have been so much better if Theo had implicitly caused the Kaiser's wife's death? Or if she'd done something to cause the uprising? Just get her involved, please! Theo doesn't lead the plot, and as the heroine, she should be doing stuff, making mistakes, following impulses, etc, that set the dominoes in motion. Yet she doesn't. She thinks about doing stuff more than she actually does the stuff. She isn't making the plot move - it's moving regardless of what she's doing. 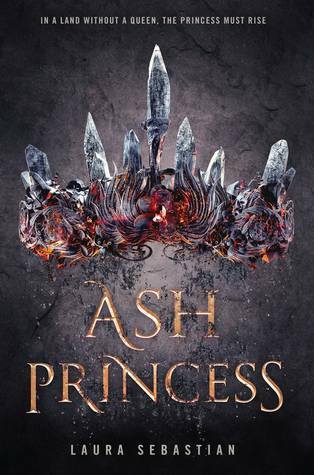 Ash Princess is beautifully written with an intense premise. But the characters are cardboard cut-outs, the heroine doesn't move the plot, and the story has very little conflict.